We Plan. You Play. 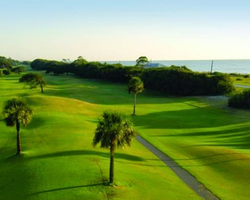 Golf vacation packages to Georgia. Take advantage of our deals, discounts, the best planning advice, or create your own stay / play package. Named one of “America's Top 100 Golf Communities,” by Travel+Leisure Golf magazine for three consecutive years, Reynolds Lake Oconee has continued to be a superior setting for innovative luxury living with a genuine touch of its American and Victorian heritage. Once a sublime hunting and fishing retreat for the Reynolds family, located 75 miles east of Atlanta, this 8,000-acre gently rolling lakeside residential community overlooks the majestic Lake Oconee, Georgia's second-largest lake. 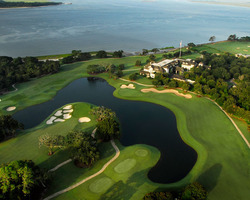 A community resort that provides a variety of lavish accommodations and ninety-nine award-winning holes of championship golf layouts designed by legends like Bob Cupp, Jack Nicklaus, Tom Fazio, Rees Jones and Jim Engh. 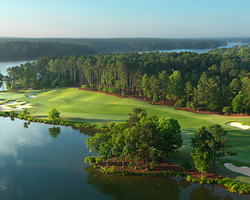 No wonder Reynolds Lake Oconee is always the number one choice of golfers in Georgia, make it also yours today!